This merry greeting is meant for EATING—made of 100% edible rawhide dogs love! 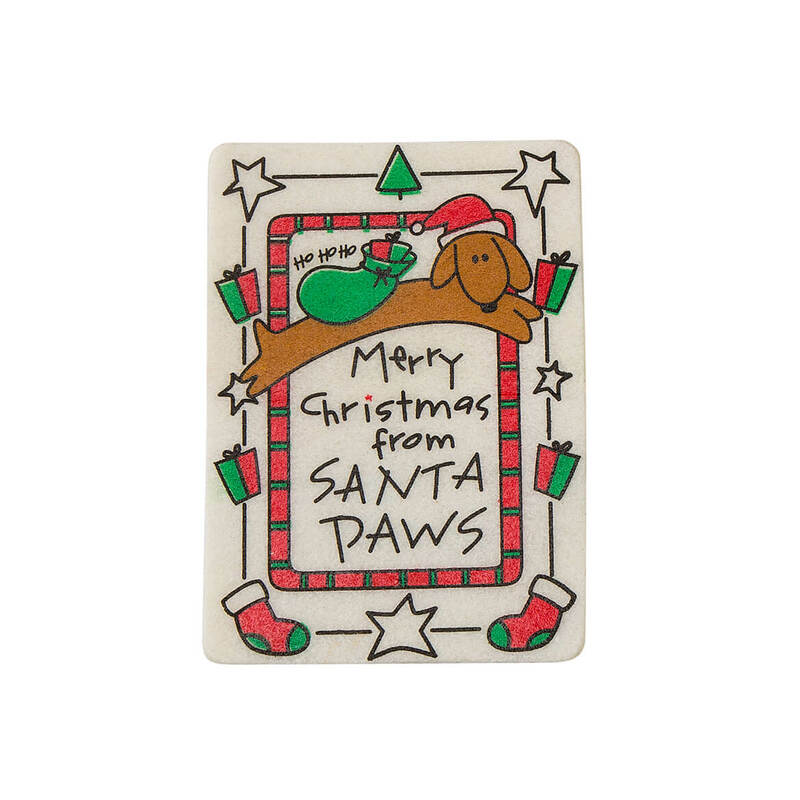 Specially developed by a vet, our Crunchkins™ Christmas card for dogs is printed with non-toxic ink, making it a crunchy delight for your favorite pooch. A great way to include your dog in the holiday fun (and keep chewers busy), the 4 1/4″ x 6 1/4″ pet Christmas card includes a red paper envelope for mailing (extra postage required). Assorted designs; we’ll choose for you.